Best Retirement Communities Phoenix Arizona has to offer! Deciding on the right time to retire can be a hard thing to determine. If relocation is in your future, you have another big decision to make. 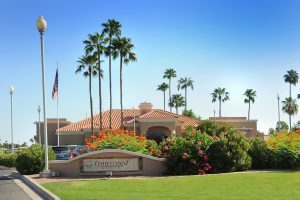 While there are many places across the United States to consider retiring, let’s look at the best retirement communities in Phoenix Arizona. Arizona has been a big retirement destination for years and if you have been here, you can understand why! While the weather is sunny 90% of the time and there are a large number of golf courses all around, there is a lot more to offer than sunshine and golf. Arizona is one of the most tax-friendly states with no taxes on your social security check, about half of the other states do tax social security. Of course, you’ve heard the term dry heat before but what about the benefits of that? For those allergy sufferers, this climate can be a game changer for the good. If you battle with arthritis, the lack of humidity can help reduce the swelling and pain, giving you more mobility. Not only is Arizona an exciting place to live but the warm weather can enhance your health and overall well-being. The Kolb Team specializes in selling real estate in the best retirement communities in the Phoenix Arizona area. We can help you narrow your search by what each community has to offer. When you start looking at your retirement destination, you can’t beat the Active Adult Communities in the Phoenix area. Some of the criteria you will want to consider is location, as the Phoenix area is divided into West Valley (Glendale, Buckeye, Avondale, Peoria, Sun City) and the East Valley (Chandler, Gilbert, Mesa, Tempe, Scottsdale, Queen Creek, Sun Lakes). Just north of Phoenix lies the very first Active Adult Community in the United States, Sun City, Arizona. Developed over 50 years ago with the idea of a leisurely lifestyle for the retired in mind. Since then, Active Adult Communities have grown all over the United States, with a majority of them right here in the Phoenix area. Not only are there physical activities like miniature golf, tennis or pickleball, but you will also have access to clubhouses and clubs. Whatever activity you want to do, you will find them in this active adult community. This Active Adult Community offers you the choice of five different communities, each with their own unique attributes. Sun Lakes Country Club is the first Active Adult Community in Sun Lakes built in the ’70s. Amenities include an 18-hole golf course, tennis courts, heated pool/spa, outdoor BBQ areas, restaurant, clubhouse, a club for just about any activity you could think of. Cottonwood Country Club features homes built in the ’80s. With an 18-hole golf course, driving range, swimming pools, tennis/pickleball courts, clubhouse, restaurants, fitness center, walking paths and many clubs and organizations, you will have no problem finding something to do. 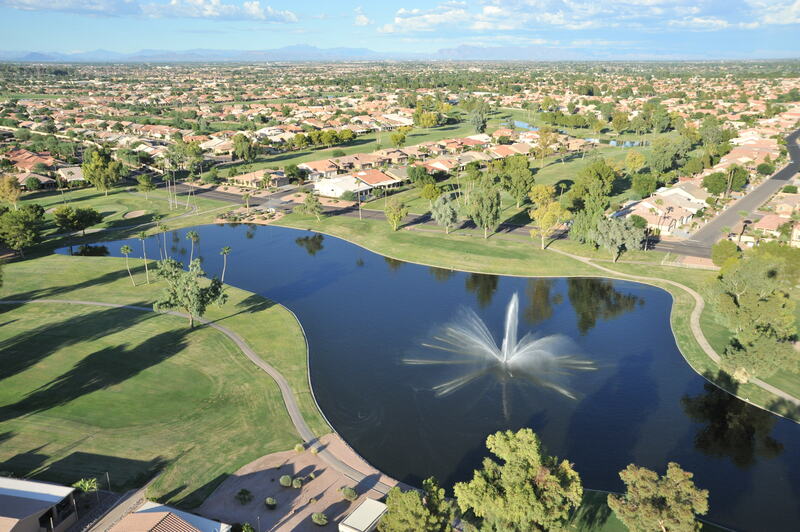 Palo Verde Country Club is the first of the gated communities and was built between ’80s-’90s. Not only do you have access to all of the activities at Cottonwood you have the amenities at Palo Verde. Those include an 18-hole golf course, tennis courts, swimming pool and spa, and a clubhouse with restaurant and bar. Ironwood Country Club is the next gated community to be built in the ’90s. In this community, you will find an 18-hole golf course, tennis courts, swimming pools/spa, clubhouse and access to Oakwood amenities. Oakwood Country Club is the last and newest addition to the Sun Lakes Active Adult Community. Activities seem endless at Oakwood. 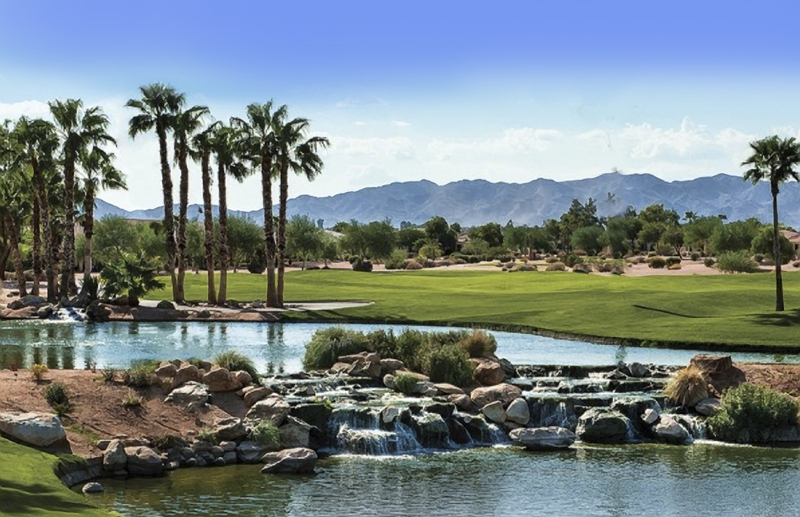 Not only do you have access to everything at Ironwood but you have the convenience of everything right here: three 9-hole golf courses, championship tennis facility, pickleball courts, driving range, fitness center, walking paths, hundreds of clubs and so much more! Don’t let the size of Solera fool you. Located in Chandler, this Active Adult Community has all of the benefits of the larger communities. The semi-private golf course not only gives you 18 holes but amazing mountain views while you’re out! Of course, you will also see a beautiful swimming pool, spa, tennis/pickleball courts, bocce, horseshoes or shuffleboard. The community center is always buzzing with activities going on. If arts/crats is what you are looking for, Solera Active Adult Community is ready for you. Their craft room features a kiln, quilting supplies, paint, ceramics, and more! Whether you are looking to be indoors or out, you should be able to find what interests you here. This active adult community is smaller than most of the others you will find in the area. It’s located in Chandler and has both single family homes and manufactured homes with a wide price range. Sunbird may have fewer residents but they don’t lack in activities! You’ll be able to find a golf course, pool, tennis courts, shuffleboard, horseshoe pits, and plenty of other activities to keep you busy. Perhaps you are just looking to relax and enjoy the views. Stop by The Horizon Room for breakfast, lunch, dinner, or drinks while sitting on the patio overlooking the water. 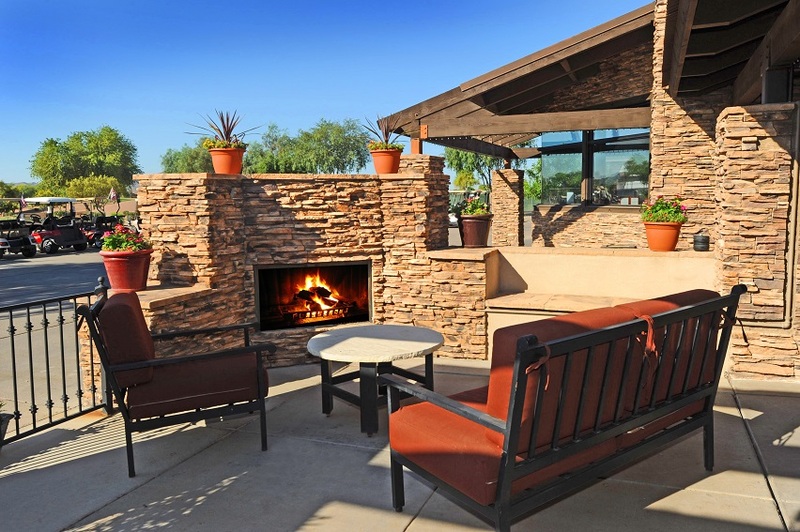 Trilogy at Power Ranch is a gated active adult community located in Gilbert, Arizona. Living in this Shea Home development that was constructed between 1999 and 2008, you will be able to experience a sense of community. Trilogy offers you a relaxing resort lifestyle with clubs, pools, spas, restaurants, golf and more activities than you can imagine! This community also offers unique amenities like a cyber cafe, movie theater, wine tasting, and culinary classes. Leaving you very little reason to venture outside of the gates! 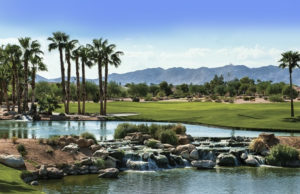 Regardless of what your intentions are when you retire, these are some of the best retirement communities Phoenix Arizona area has to offer. Each with of their own amazing amenities and points of interest. See this short video to learn more about Arizona’s best retirement communities in Chandler and Sun Lakes. 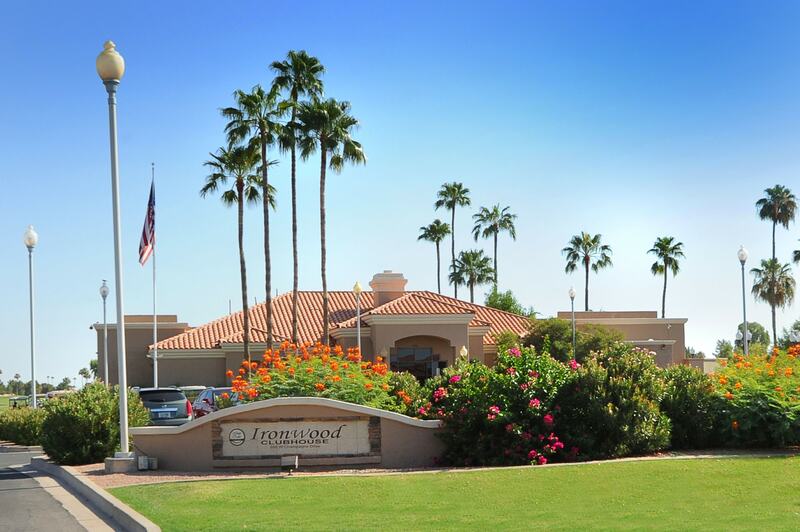 Do you want more information about the best retirement communities in the Phoenix Arizona area? Not only are we real estate specialists in the Arizona retirement communities, but we are also ranked in the top 2% of all agents in the Southeast Valley. Contact us here or call us at 480-440-0849.